The list of poker rooms that have shut down is not long, but these rogue online cardrooms’ stories are dramatic and infuriating. Below is a quick history of the closed online poker sites, including the sordid tales of Absolute Poker, Ultimate Bet, Lock Poker, and all the rest. A lot of online card rooms were launched and never had success. The defunct poker sites below once were notable, but closed due to changes in the law, bad luck, or bad management. Doyle’s Room said all American players could transfer their accounts to Full Tilt Poker, along with their accrued action points. The departure of the Doyle’s Room and the Doyle Brunson Poker Network was yet another sign of the withering effect UIGEA had on American Internet poker. This was not the end for international players, of course. Doyles Room moved from Tribeca to the to the Microgaming (Prima) Poker Network in 2007. In January 2009, it moved again, this time to the Cake Poker Network. In January 2011, Doyle’s Room moved to the Yatahay Network, but time was running out. The site was seized on Black Friday and Doyle Brunson ended his relationship with the site shortly after. America’s Cardroom bought the site’s traffic in October 2011. Absolute Poker is one of the worst examples of a poker site. The cardroom launched as part of the Cereus Poker Network and, by 2005, was valued at $30 million. By 2007, Absolute Poker had become one of the Top 10 largest poker sites in the world. 2007 was the year of the infamous POTRIPPER scandal, when Absolute Poker co-founder Scott Tom was caught playing in card games on-site under the name “God Mode” — using software that allowed him to see opponents’ cards. Players suspicious of God Mode’s play tendencies finally proved their allegations. Absolute Poker apologized, tried to shift the blame, and paid back disgruntled players. In a sane world, that would have been the end of Absolute Poker. Instead, the site continued right up into April 2011, when AB had its domain seized. Absolute Poker executives Brent Beckley and Scott Tom were indicted by the US Department of Justice. Absolute Poker customers learned soon enough that Beckley, Tom, and other executives had not segregated player funds and therefore no money existed to pay back players. Brent Beckley was arrested and put on trial in 2012, and eventually served several years in a US prison. Scott Tom hid overseas for several years, though he reappeared in a US court in December 2016 to answer for his crimes. He eventually served 7 days in prison. Yes, Scott Tom agreed to a misdemeanor plea bargain and US Magistrate Judge Barbara Moses of Manhattan sentenced him to seven days in jail. Ultimate Bet is associated closely with Absolute Poker for various reasons. The two sites comprised the Cereus Poker Network, while both closed due to the Black Friday scandal. Ultimate Bet launched in 2001 and was licensed by the Kahnawake Gaming Commission in Canada. By the time the UIGEA was passed in 2006, UB’s Excapsa Software was traded on the London Stock Exchange under the designation “XCP.L”. In October 2006, Ultimate Bet announced it was selling its assets to a private company and delisting from the LSX. This was controversial, because most of the payment came after the UIGEA. By then, Ultimate Bet was deeply involved in misconduct. In May 2008, the site announced it had a cheating scandal (“SuperUser”) similar to Absolute Poker’s cheating scandal around the same time. AB announced the cheating had taken place from March 2006 to December 2007, but subsequent investigations by the Kahnawake Gaming Commission proved the cheating had started as early as 2004. Eventually, it was determined that the cheating took place from May 2004 to January 2008. Russ Hamilton received the blame for the cheating. Once again, this huge and fundamental cheating scandal did not kill UB.com. In Ultimate Bet’s case, even the Black Friday scandal did not force it to close (at first). UB.com and the Cereus Poker Network continued over a year after the April 2011 domain seizures. On May 12th, 2012, UB.com players noted they could not connect to the site’s servers. Like Absolute Poker, the site did not have the funds to pay players, stiffing them for about $50 million. Like Absolute Poker, Garden City Group paid back the players from 2014 to 2017, The money GCG used to pay Absolute Poker and Ultimate Bet players was left over from other settlements (PokerStars), so players should not credit AP/UB for eventually getting their funds back. LockPoker.eu and LockCasino.eu closed in April 2015 after long months of speculation it would close. Lock Poker’s troubles became official in 2010, when Casinomeister listed Lock Poker as a rogue site for slow payments. Three years later, many players began to report they had not been paid since 2012. In April 2013, players on the TwoPlusTwo poker forum noted that sponsored players had been treated to an all-expense-paid vacation to a Portuguese castle. This enraged rank-and-file players, who criticized the site for paying luxury expenses when they would not process winnings. The scandal caused some players sponsored by Lock Poker to end their sponsorships, but others remained and asked players to give the management more time. Some told customers they had been assured that player funds were safe and payments would be forthcoming shortly. The bad publicity caused the secondary market on Lock Poker funds to decline significantly. Over the next year, players reported being paid small amounts to string them along. No one appears to have been paid after April 2014. Verified Lock Players on TwoPlusTwo reported $1 million in unprocessed payouts, but US Poker speculated that as much as $10 million to $15 million went unpaid. Traffic dropped precipitously, to the point that PokerScout reported as few as 10 ring-game players at a time over a 7-day study of Lock Poker’s online traffic. When Lock Poker closed for certain in April 2015, it was the biggest poker scandal since Black Friday in 2011. Card Spike is another in a long line of UIGEA casualties. In the case of Card Spike, the site died a slow death. 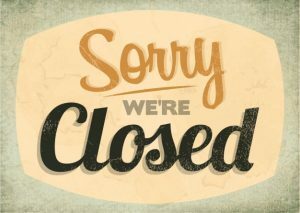 Two years after the onerous federal ban on online poker went into effect, Cardspike announced it would close its doors. Players could cash out their funds, though players with less than $50 cash had to pay a $40 fee to do so. Everleaf Poker was another casualty of Black Friday. In 2012, Everleaf stopped accepting players from the USA, France, and Malta. Card players outside the US complained they were not receiving payments by that time. In 2013, the Malta Gaming Authority stripped Everleaf Poker of its licensing and the site closed in obscurity. Pitbull Poker operated from 2004 to 2009 in offices in Costa Rica. Pitbull had cheating scandals similar to God Mode and SuperUser, as it was learned that any employee of Pitbull Poker could see customer’s cards. Later, it was learned that Pitbull Poker’s operators owned WSOP.com and was pretending to be the official World Series of Poker website. This led to a lawsuit by Harrah’s Entertainment (now Caesars Entertainment), which forced Pitbull Poker’s owners to hand over the WSOP.com domain (which is used in New Jersey by Caesars Interactive to this day). In 2009, reports surfaced that Pitbull Poker’s staff was cleaning out its offices in Costa Rica. Planet Poker is said to be the first-ever real money online poker site. By the time the UIGEA passed, Planet Poker had 750,000 customers. In 2007, the site, at the time a member of the Merge Poker Network, stopped accepting real money players. Technically, Planet Poker still exists, but only as a play money-only site. Poker Nordica was a part of the Merge Poker Network which died a long, slow death after the UIGEA. Poker Nordica had a solid enough affiliate program which allowed it to continue until 2012. When Poker Nordica closed, it allowed players to transfer funds to other Merge Network skins. Poker Room launched in 1999 as part of the Ongame Poker Network. Pokerroom.com was one of the first online poker rooms for US players and it had a decent player community by the time of the UIGEA. It continued until 2009, when Poker Room closed. An attempt was made to review Pokerroom.com in 2013, but it was short-lived. Purple Lounge was a member of the Microgaming Poker Network until a payment scandal caused it to be booted from the network in January 2012. Purple Lounge moved to the Entraction (now International Game Technology), a more obscure poker network. This did not help business, so it closed later in 2012. True Poker’s domain was seized along with PokerStars, Full Tilt Poker, and Absolute Poker on Black Friday, April 15, 2011. The seizure of True Poker’s domain and their player funds frozen, bringing a quick end to True Poker.